Passengers were said to be “traumatised” by what happened. 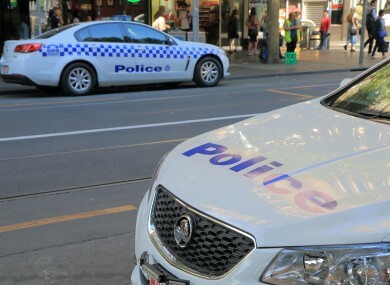 A PASSENGER DOUSED a bus driver with inflammable liquid and burned him to death in front of horrified passengers in the Australian city of Brisbane today, police said. There was no apparent motive for the killing of the 29-year-old man named by local media as Manmeet Alisher, a well-known singer in the Indian Punjabi community. ABC reports that there were six people on the council bus at the time of the attack in the south of Brisbane. Police superintendent Jim Keogh told reporters “it’s a horrific incident here in the quiet suburb of Moorooka”. “This is a rare one where it appears to be no apparent motive. Bystanders kicked down the back doors of the municipal bus to rescue passengers, who were “traumatised” by the incident, Keogh said. “It’s lucky the whole bus didn’t become engulfed in flames,” Keogh said. Around half a dozen passengers were aboard the vehicle and some were treated for smoke inhalation. Email “Bus driver burns to death in Australia after passenger sets him on fire”. Feedback on “Bus driver burns to death in Australia after passenger sets him on fire”.